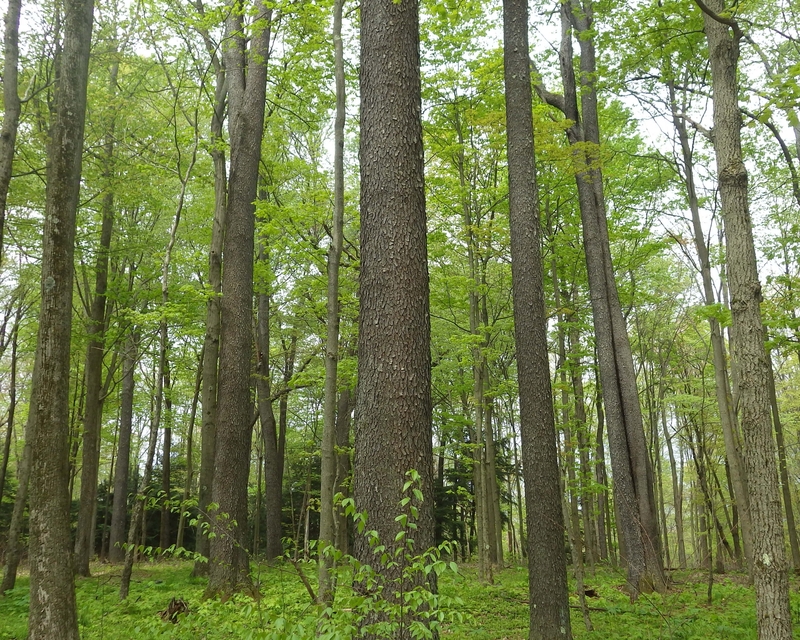 There are many great benefits to owning and managing northeastern US forestland. Many people view timberland as a safe, secure asset that can diversify their broader financial portfolio, shelter them from stock market volatility, provide steady long-term growth with periodic timber income, and simultaneously provide a host of non-financial benefits like recreation, clean water, open space and wildlife habitat. One major reason that investors often cite as a key consideration for holding timberland in their financial portfolio is its ability to provide financial and asset diversification over the long haul. It’s a classic risk management strategy and a ‘don’t put your eggs in one basket’ approach that has been proven to be wise and successful in the past. If so, what are the general considerations and recommended strategies for doing so? Ownership Goals and Scale – Ask yourself how much forestland you anticipate acquiring and managing over the coming years. Are you envisioning a multi-property portfolio across various markets, species, and age classes? If so, diversification of your timberlands may be a smart move. However, if you are considering a purchase of one or two parcels of land to hand down to your family, then diversification may not be as important. Acquisition and Transaction Costs – There are transactional benefits to buying one large property instead of several smaller ones in terms of legal fees, loan costs, transaction/acquisition costs and oversight. Put another way, a 50-acre woodlot will incur the same types of transactional costs as a 500-acre property. The more purchases you make, the more time you’ll spend finding, negotiating, and closing those properties. You’ll also spend time on due diligence for each purchase and spend money on closing costs associated with deed filing, title review, etc. There’s a transactional economy of scale to purchasing fewer, larger properties that needs to be weighed against the benefits of owning multiple properties across the spectrum. Deal Availability – It is important to know where the best opportunities in the market exist. If a large property becomes available and the numbers work, it might make sense to make an offer. If there aren’t many large properties available in your desired market, then acquiring land in small parcels might be the best way forward. Capital Availability – If your funding is lined up and you’re ready to go, you might be able to realize savings on larger parcels. You could get a slightly better purchase value on one large property instead of several smaller ones, due to price point and economy of scale. If you have more limited means now and plan to add forestland over time as money is available, a multi-property approach makes more sense. Management Efficiency and Coverage – Several smaller properties can certainly spread out your ownership risk, but they can also be more challenging to manage for some people. Are you a hands-on type that will be handling your own boundary line and site inspections? If you’re hiring out the management, will you need multiple foresters because your properties are in different service locations? Either way, the larger the distances between your properties, the more you or your forester will need to travel for site visits and management. Species – Purchase properties with good representation of high value or fast growing species. Common ‘winners’ in the Northeast are sugar maple, red oak, yellow birch, cherry and white pine. Markets – Diversify across various markets with a variety of solid, long-term sawmill demand and a mix of cross-sectional markets for veneer, exports, pulp, firewood and biomass. Amenities – Buy properties with different characteristics like water, unique views, wind power opportunities, conservation appeal. This will help with resale in the future. Age Classes – Balance timber age classes to meet your cash flow and growth expectations. This might include a mixture of young, fast-growing stands, middle-aged stands that can provide medium term cash flow and mature age classes to cover holding costs and generate timber revenue. Ultimately, the question of whether or not to diversify depends on your specific situation. There are many considerations, and many pros and cons that should be weighed. Whether you decide to purchase one large property or several small ones, keep in touch with the land and forestry professionals at Fountains Land and F&W Forestry and let us help you make informed timberland investment and ownership decisions.